The timing right now is perfect for this… And all you need to do is simply relax and listen to this audio angel message to experience the incredible ascension frequency, to open your higher chakras, and to integrate the Divine Light and Power of your Soul into the physical. After listening you will feel refreshed, recharged, and like you're absolutely glowing with pure Divine Light from within. You will be present, centered in LOVE, and you begin creating a positive ripple of conscious energy that cannot but help to have an incredible effect on your life, on the collective consciousness of humanity, earth, and all. Are you ready to magnetize the things which will most serve you in your life? Are you ready to live with more confidence, align with a greater sense of your True Soul Purpose, and reconnect with a deeper understanding of your next steps? Are you ready to more fully embody your Higher Self and Authentic Truth? … In this audio message you will effortlessly be guided to do all this and more. Accessing Your Infinite Soul Power! 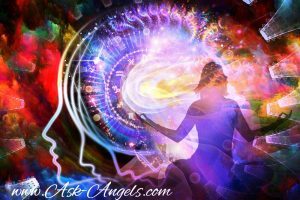 The spoken angel message with Orion is about 22 minutes long, with an additional 4 minutes of Thaddeus meditation music, and a high vibrational frequency so you can continue to shine your soul light, and gently return awareness to the physical when you are inspired. Gain Instant Access to this angel message for now for only $11.11! Do you have any suggestions for something similar to the angel message provided? I only ask because i am very interested in listening to the angle message above but at the moment finances are a bit distant. Are you able to suggest anything that may come close to receiving the message and meditation given? Bless you, Dawn. You are not the only one of us seeking wealth. It would transform the lives of so many to receive unlimited wealth and prosperity. Please forgive me, however, I believe I detected a bit of desperation in your statement/request. I would like to share something that may be helpful. If you are maintaining a sense of displeasure or negativity regarding your current situation, begin to see yourself as where you should be in this present moment and that currently everything is as it must be. And be grateful for the opportunity to grow spiritually. Love where you are now. And, through detachment you will begin to realize abundance flowing easily and effortlessly. i am 44 years old this sept 2015, I am a mother of 3 grandmother of 1. Failed marriage, failed relationships, I am always broke, and needless to say I am completely burned out, lonely for a mate, and depressed. can you help me ? I desperately miss my happiness, energy, and my bright positive personality. I miss me. I want to great wealth and lots money.I really need it. I just experienced the most wonderful experience, while I was reading this. I medited, then I was dancing with my eyes closed, I saw large white wings beijing me, my 8 year old daughter was next to me sitting on a chair, I saw her wings too, they were smaller then mine, her back was turned to the other side, she did not see what I was doing…. Then with out me touching her I touched her wings from top ? to bottom. She then turned around and said ” mommy I felt this tingling in my back “. I asked her wear then she pointed exactly were the wings were. She pulled out an old necklace with a J on it and a crown ? on top ? of it. I don’t know what the J has to do with anything besides the beginning of my name. Can you tell me more please, I’m eager to learn more please, blessings and love ❤.